Fluctuat nec mergitur is the official city motto of Paris but is just as suitable for a piton like the Eye Sharp. Pitons may be a bit outdated, but even in the age of nuts and cams, they are still used when there is no other option! Besides, who wouldn't rather use a piton for rappelling off of? You wouldn't want to leave your more valuable cams behind. 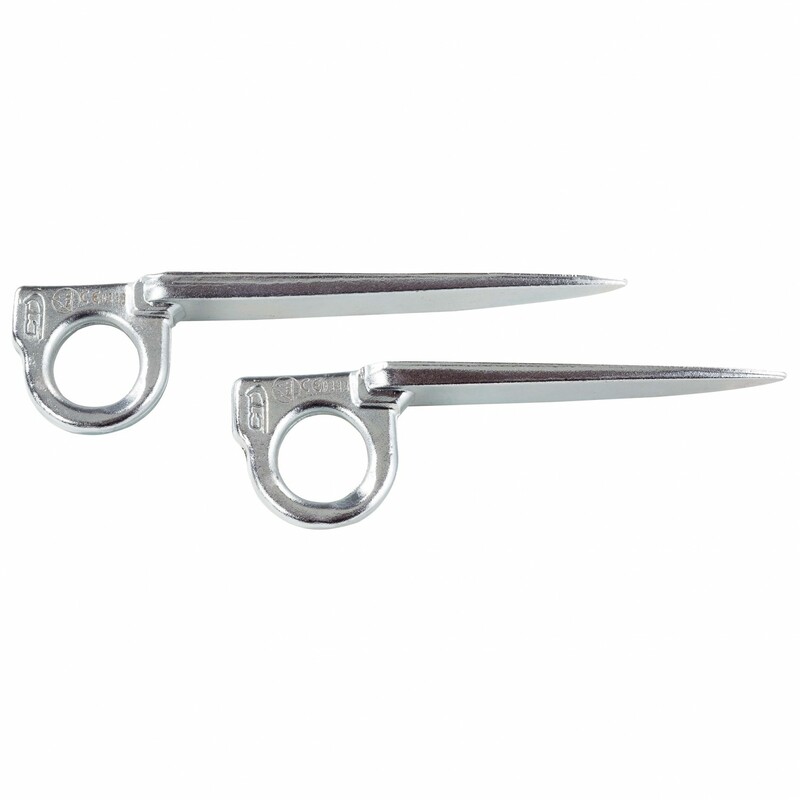 The Climbing Technology Eye Sharp is a soft steel piton for use in soft rock, such as limestone. It has a V-shaped tip and is made of zinc-plated soft steel. Note: The 12cm version of the Eye Sharp is classified as a piton type P (progression), and the 14cm meets the requirements of a piton type S (for belays).